Thurs June 8 All School Picnic with Root Beer Floats! MAC Attack: We are wrapping up the MAC Attack with pledge counting this week, with the funds raised going to support arts activities in the coming year. Thanks to Ms. Dixon for motivating and preparing our kids, to Nicole Cordan and Kari Key for orchestrating the event and the army of volunteers, and a giant shout out to all the kids and teachers who participated. Carnival/Auction: I am looking forward to the Carnival and the Wealth of Winterhaven Auction in a few short weeks. Deepest gratitude to Kristin Doherty for her many years for service organizing the carnival and to Heather Dickinson for once again being the auction master. See the note below for ways you can support the auction. The PTA is not just for stay-at-home parents - while we benefit greatly from the contributions of parents with flexible schedules and availability during the school day, many of us who serve as board members and volunteers also hold down demanding full time jobs and are able to manage our PTSA commitments outside of work hours. We all give back in the manner and measure we are able to, and every bit helps our kids and their teachers. The PTSA is not just for moms - In my 9 years serving on the board, I have had the privilege of serving with a diverse group of dedicated parents, including some other dads, but I would encourage more to step up. Many hands make light work - All PTSA activities require a variety of task, some needing a group effort at an specific time and some needing individual efforts over a period of time. We are grateful for all the help we can get, as each volunteer makes the load lighter for the rest, and we have important jobs that can fit a variety of schedules and levels of commitment. Room Parent Leader - Communicate key requests to all the Room Parent Coordinators. Coordinate the coordinators. Lost and Found Coordinator – FOUND, Thank you JJ Heldmann!! Educational Liaison – Helps with PTSA funded expanded curriculum. FOUND, Thank you Cheryl Fischer!! Web site manager - super easy google sites, you don’t need to be a master! Scholarship coordinator - Help us determine our best strategy for offering after school scholarships and dispense them. Box Tops coordinator - super easy; count them up; send them in; we get money. Carnival Volunteer Sign up: You will hear soon hear more details about how to play games with us on May 19 from Kristin. This is a super fun way to engage with the kids and our community. http://signup.com/go/AqqyZbU or contact Kristin Doherty at kristinwdoherty@yahoo.com. Auction Volunteer sign up: More details will be coming your way, but please save the date May 19. Based on our experience this is way mroe fun than selling wrapping paper or cookie dough like some other schools do. :) http://signup.com/go/tPoMzMF or contact Heather Dickinson-Schoessler levisfarm@hotmail.com. Annual Field day (5/26) , Move up day (5/25), All school picnic (6/8) : More great ways for our amazing community of parent volunteers to shine, connect and make great experiences happen for our kids. Including distributing popsicles and the traditional root beer float day. Save these dates and we’ll let you know when we are ready for volunteer signups! We have the best volunteers EVER! We had almost 30 volunteers for Mac Attack, plus parents who came and offered to help even though the spots were all filled. I had parents who stayed to help with more than one session because they wanted to pass on what they learned in helping with the first session to the next group. Because of them, we were able to count and record the laps AND get the forms to the majority of the students that same day. They were so efficient that we were able to finish our tasks before the next race started. What a great community. We raised almost $900! Thank you! Thank you! Thank you to all of you who stepped up and went to Pizzicato last month. 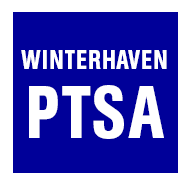 We raised almost $900 for our school by Dining Out for Winterhaven! Nice work you pizza and salad eaters! That is a lot of dough!